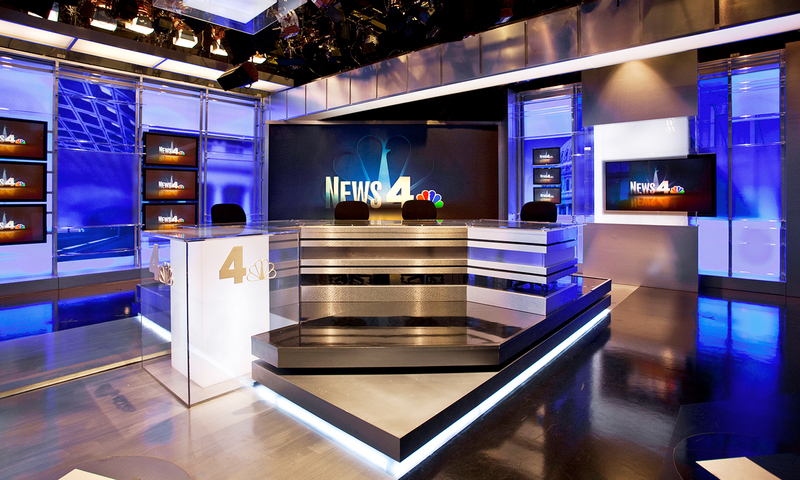 The polished, modern design for WRC-TV echoes NBC News headquarters at Rockefeller Center in New York but expresses a strong visual personality that belongs to News 4 alone. 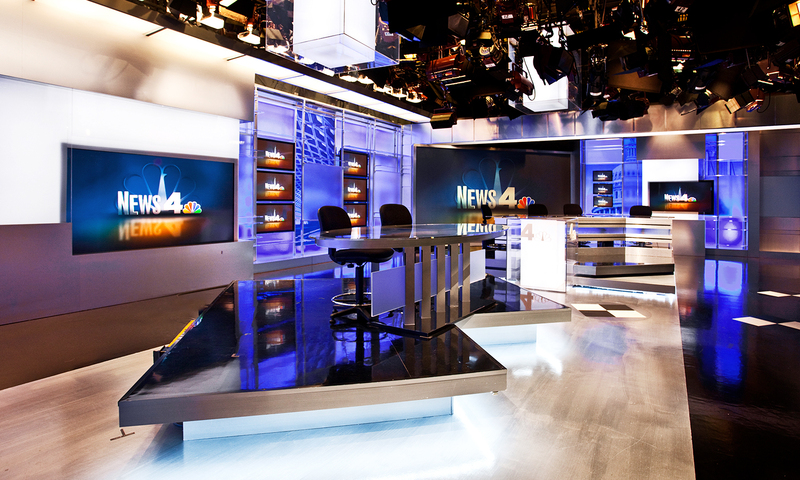 The studio also houses and originates NBC News’ Washington bureau. 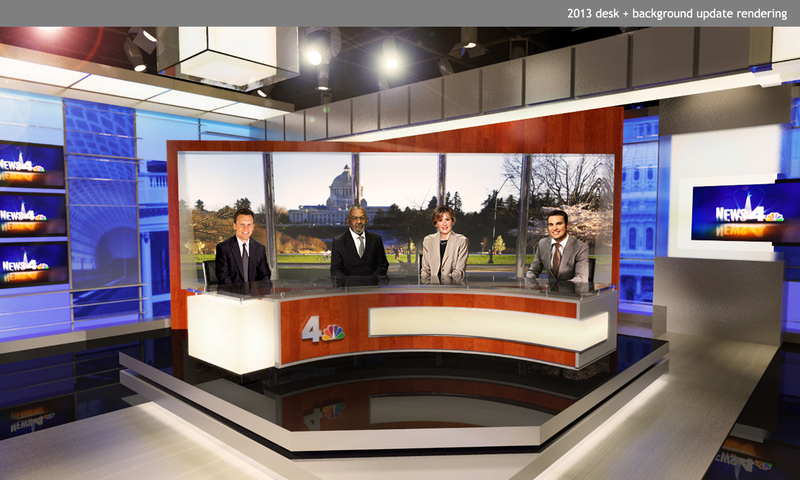 In 2013, Clickspring revitalized the set by designing a new desk and an anchor background of 103″ monitors.